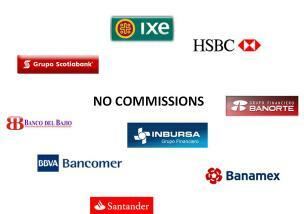 The Mexican Central Bank has decided to rein in bank commissions to protect costumers. The banking regulator decided to eliminate certain bank accounts commissions from August 21, 2009. -When a bank account does not keep its minimum requested balance, only one commission will be charged: a managing commission or a non balance commission. It is not possible to charge both commissions during the same period. -When an account holder receives a deposit by a bank cheque which eventually is rejected by the means of insufficient funds or any other reason, no commission will be charged to the receiver of the deposit. -When a bank gives a loan to an individual and establishes as a condition to open a bank account at the same bank, no commissions will be charged for: opening the account, managing the account, and for not keeping a minimum balance. -No commissions will be charged when an individual exceeds the balance of a debit card. 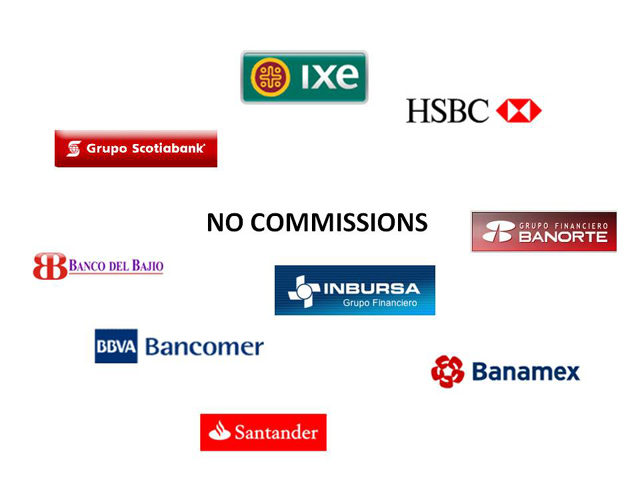 -No commissions will be charged when making the cancelation of a bank account, a debit card or a credit card, the termination of the electronic banking services, and the elimination of the instruction for automatic services payments by a bank account. -When making funds transfers, the banks must apply a single commission which will not be related to the amount of the transfer.